If you’re a gamer, then you know what a difference the quality of your equipment makes. You need a gaming mouse that is precise and reliable, a gaming monitor with the lowest response time possible, a gaming computer that will let you run your game at the highest possible frame rate, and a gaming headset that will let you hear someone sneaking up behind you. A good headset will do so much to improve your game play. Not only does a headset let you hear what’s going on around you, but it will also give you a crystal clear line of communication to the rest of the people on your team. The best gaming headsets around offer directional sound and incredible audio quality, but it can be tough to find the best one when there are so many great products on the market. Which one is right for you? Which one will work best with your gaming style? We’ve amassed a selection of the top headsets around, with each one offering something slightly different. While every single headset won’t be right for every person, one of the ones that we’ve featured below will be right for you. 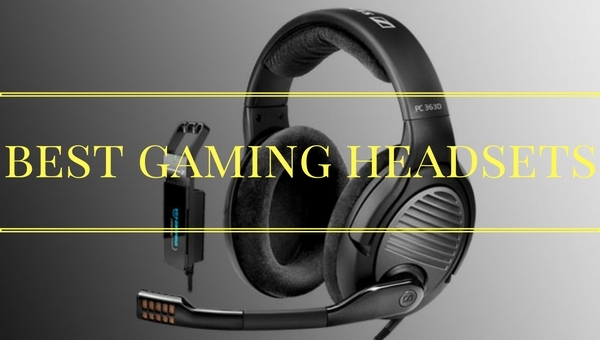 Gaming headsets have gradually become more significant within the PC and console gaming markets ever since the advent of online gaming. The importance of the quality of your sounds and the need to talk with your friends during a nice multiplayer match means that you need a high quality gaming headset in order for you to get the highest quality experience and as much enjoyment as possible from your game. Finding the best gaming headset can be a problem, but Astro has a new product that may help you solve that. 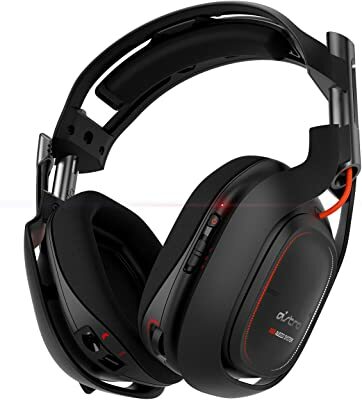 ASTRO A50 Wireless Gaming Headset is certainly among the one of the best headsets that you can get; the only problem is, it is also among the most expensive headsets on the market. The Astro A50 gaming headset might be the best gaming headset that I have come in contact with. However, there are a few minor problems that are holding it back. 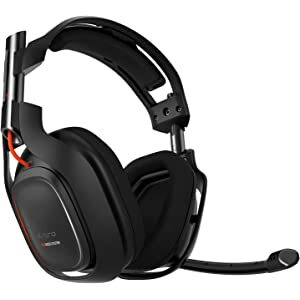 Compared to gaming headsets like the Turtle Beach XP Seven and the Logitech G930, the ASTRO Wireless A50 Gaming Headset does not really do any one aspect particularly exceptional, but the Astro A50 gaming headset does a wide variety of things very well. It is fairly bulky and large, but it is surprisingly very comfortable to wear and the ear cups provide plenty of space for your ears to not be crushed. It is wireless, so you will not need to worry about any cords getting into your line of vision. 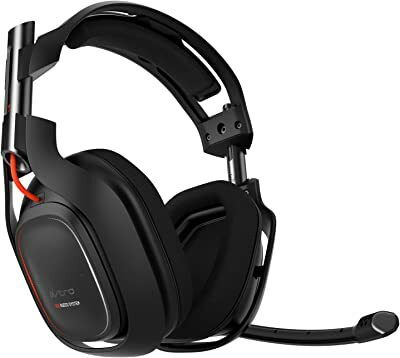 The general design of the ASTRO Wireless A50 Gaming Headset looks very similar to a traditional headset; it is an over-ear phone with a microphone located conveniently on the side. All of the buttons on the ASTRO Wireless A50 Gaming Headset are located on the back of the headset behind the ear cups, making it a tad cumbersome to reach. Still, Astro has clearly put a great deal of effort into this headset making it probably my personal best gaming headset for general use. There are three modes that you can go into when using the headset: media, core, and pro mode. Media mode is for watching movies, listening to music, and other everyday purposes. Core mode is used for heightening the volume, making you much closer to the action that you were before. Pro mode mainly strengthens the background noise that comes through the headset, making it useful for situations in which you need to concentrate as much as possible. 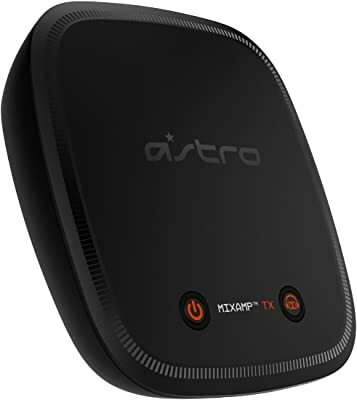 Connectivity is one of the most important factors when looking at gaming headsets, because if you cannot connect your ASTRO A50 Wireless Gaming Headset to your computer, you cannot use it. 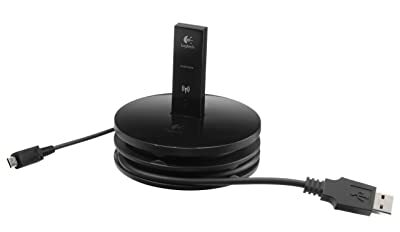 This particular headset uses two different connection ports for the vast majority of all of the setups that your game may use; they are USB and optical. Astro also additionally gives you a simple guide informing you how to connect the headset to your PC, Xbox 360, or PS3. After plugging in the extensions to the two ports, you are able to sync your headset to your console or computer by pressing a button on both your gaming headset and the transmitter that also comes with the headset. This process is fairly simple and quick to do, although moving between different devices can occasionally be annoying due to how much you will have to re-sync your headset with other devices. This headset is probably the best gaming headset to use if you want to get the highest quality audio out of your computer and gaming experiences. Sounds are incredibly clear, and you will have a difficult time believing that the events in the game are not happening right next to you due to how close you feel to the action. 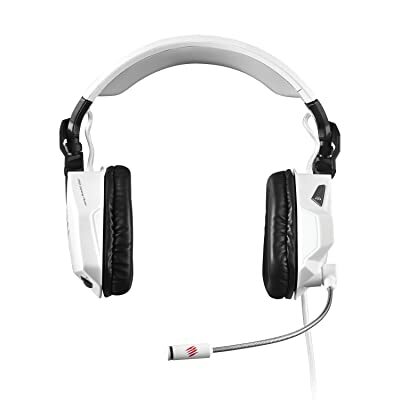 Chatting with friends online when playing a multi-player match works very well with absolutely no lag; it is a high quality experience overall, and this is the main reason to get this headset. It’s simply the best gaming headset, or at least one of the best gaming headsets, for this purpose. The microphone is in the optimal position on the headset for relaxed speaking and is one of the better headsets to use if you are looking at having fun while talking to your friends. The sounds that are transmitted through the microphone are very clear, and you will have no problem speaking to your friends at any volume level, since the headset has volume control. Overall, the ASTRO A50 Wireless Gaming Headset is one of the best headsets you can buy and is well worth your money. 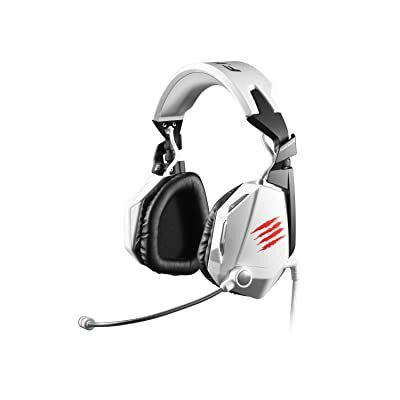 The Mad Catz FREQ 7 gaming headset is the latest version of the Mad Catz F.R.E.Q. line of premium gaming headsets, one of the best gaming headset lines in the industry. The Mad Catz F.R.E.Q. 7 Gaming Headset allows gamers to immerse themselves in their gaming experience through its unique 7.1 surround sound system while preserving the high-fidelity audio performance of stereo headphones. This makes the Mad Catz FREQ 7 gaming headset one of the best top of the line gaming headsets available on the market currently. The first impression that Mad Catz FREQ 7 gaming headset leaves for most users is one of versatility and professionalism. The features and design of the headset itself has been constructed to fit this end. The Mad Catz F.R.E.Q. 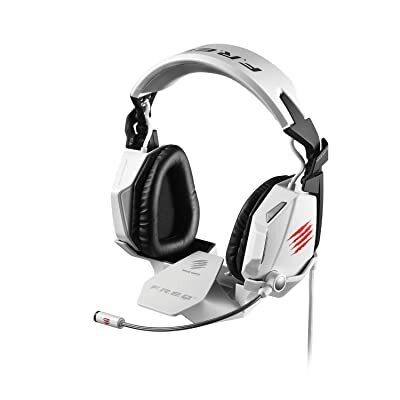 7 Gaming Headset is made of lightweight and durable aluminum components, a signature of Mad Catz products. The cans themselves can be folded for gamers to rest the headset comfortably around their necks, while the mic can be used only when necessary. Furthermore, the position of the on-ear controls on the headset are intuitive, a key requirement for any contender for the best gaming headset. 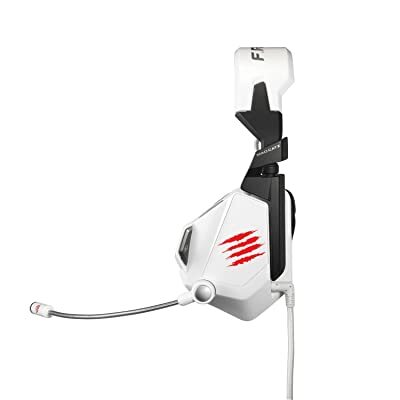 The appearance of the Mad Catz FREQ 7 gaming headset is also customizable, with red, white and black versions of the headset. The design itself is minimalist and understated for a gaming headset, with none of the flashing lights and very few logos for a gaming headset with the exception of the Mad Catz logo on both sides of the headphones and the letters ‘FREQ’ across the top of the headset. The most prominent feature of the Mad Catz F.R.E.Q. 7 Gaming Headset that sets it apart as one of the best gaming headsets available is the immersive 7.1 surround sound system. This surround sound system is powered by Dolby Headphone Technologies, and is created by a series of premium 50mm neodymium drivers placed within the headset. Furthermore, gamers do not have to sacrifice the surround sound experience for audio performance, since the audio rendering capabilities of the Mad Catz FREQ 7 gaming headset is definitely of premium quality as well. Furthermore, an important feature of the Mad Catz FREQ 7 gaming headset as one of the best gaming headsets lies in the details: the intuitive and convenient placement of the on-ear controls of the headsets. It allows the user to adjust volume, toggle Dolby settings, as well as mute the mic from the side of the headset. The connectivity capabilities of the Mad Catz F.R.E.Q. 7 Gaming Headset is also a strength that strengthens its position as one of the best gaming headsets. 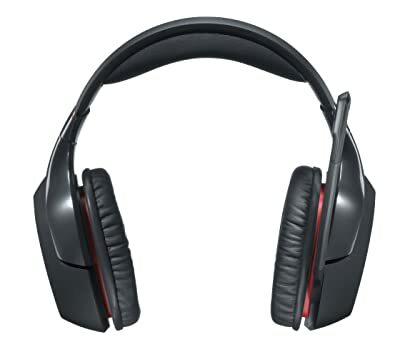 While the headset requires the user to download drivers from the Mad Catz homepage, it is intuitive to set up, and the Mad Catz FREQ 7 gaming headset can be used without the drivers. Most importantly, the headset is compatible with popular mobile devices such as the Apple iPhone, Windows Phone 8, and HTC One. This means that on top of being one of the best gaming headsets performance-wise, the FREQ 7 is also one of the most versatile and convenient headsets. To unleash the true potential of the Mad Catz FREQ 7 and unlock its performance as one of the best gaming headsets at its price, users may need to calibrate the headset settings and software. However, once customized, the Mad Catz F.R.E.Q. 7 Gaming Headset performances admirably in terms of gaming performance. This is especially clear in games that utilize the 7.1 surround sound that the headset features, such as popular first-person shooters such as Call of Duty or Battlefield 3, in which the best gaming headsets can truly shine and showcase the power of surround sound. The positional dimension given to the sounds add to the realistic feel of gaming and provides gamers with more information about their virtual surroundings. The best gaming headsets are more than flashy headphones; they are a competitive advantage. In terms of microphone performance, the Mad Catz F.R.E.Q. 7 Gaming Headset features a fully mutable microphone which can be hidden when not in use. The microphone is also noise-cancelling, allowing gamers to communicate effectively and without disruptions form their surroundings and ambient sounds. Furthermore, there is a level of detail in the design of the microphone itself that provides convenience and attention to detail. The state of the microphone changes depending on whether it is muted, with the red LED light at the tip of the microphone indicating whether or not its muted. While this is a small detail, it shows the emphasis on convenience and gaming immersion consistent throughout the Mad Catz FREQ 7 gaming headset. For gamers that value convenience and immersion in their gaming experience, the best gaming headsets tend to be wireless ones. The ease of having access to a headset without the wires to hinder movement can remove clutter from a gamer’s system and allow for unprecedented convenience. In this respect, the Logitech G930 Wireless Gaming Headset is one of the best gaming headsets, and regarded by gamers everywhere as one of the most reliable and functional premier gaming headsets of this generation. It features a powerful combination of surround sound, preset audio environments and sound quality that has very few parallels in the wireless headset market. The Logitech G930 Gaming Headset is the best gaming headset for gamers that want a durable, reliable headset with good build quality. 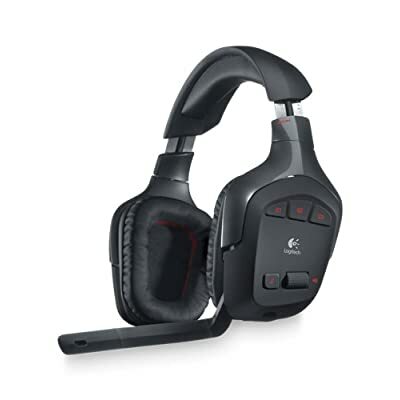 Logitech is renowned for building high quality gaming peripherals, and the Logitech G930 gaming headset is no exception. The headset itself is heavily padded with leather at the headband and cups in order to provide maximum comfort to the gamer. Furthermore, the build quality itself is excellent, and the headphone itself is constructed from sturdy heavy duty plastic, as well as metal and leather that gives it its structure. The red outlines against the dark gray headset, as well as the large retractable microphone, distinguishes the Logitech G930 as a gaming headset, and it seems that what the headphone sacrifices in portability it more than makes up in comfort. The Logitech G930 gaming headset remains the best gaming headset for gamers that value comfort and build quality in their devices. For gamers that value depth of features and the raw performance of headsets, the Logitech G930 Gaming Headset is the best gaming headset available that provides a wireless experience. The headset comes with Dolby Digital 7.1 surround sound, the current generation surround sound system which adds a spatial dimension to sounds and creates a 3 dimensional audio landscape in games. Furthermore, the 2.4 GHz wireless technology that the headphone utilizes is up to 38% faster than Bluetooth, preventing any ping or lag that can delay the audio signal and break immersion. There are also three programmable G-keys which users can customize with a number of different settings, such as music, gaming, and even adapting the audio profile to different types of games. All of these features, in addition to the amazing range of up to 40 feet and impressive audio quality of the headset, further establish the Logitech G930 gaming headset as the best gaming headset for gamers that want a wireless headset that will blow them away with its audio and gaming capabilities. 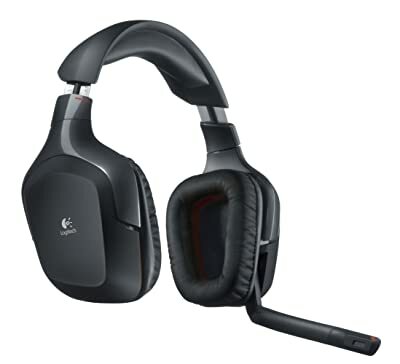 Logitech G930 Wireless Gaming Headset features truly incredible connectivity that makes it one of the best gaming headsets just from the raw strength and distance of its wireless capabilities. The estimated 40 feet it is capable of reaching is unparalleled in wireless headsets, particularly when considering the quality of the audio output. Furthermore, the battery on the headset lasts for up to 10 hours, and the headset can also be used while charging. Gaming with the Logitech G930 Gaming Headset is a great experience for a number of reasons, all of which support its claim to being one of the best gaming headsets. First of all, it is incredibly comfortable and convenient because of its wireless capability. This is a feature that cannot be emphasized enough, since in long gaming sessions, an uncomfortable headset can be a major annoyance for any gamer. In addition, the wireless nature of the headset has no perceptible effect on the audio performance: every sound is still rendered with amazing sharpness and depth, be it massive explosions or light footsteps of enemy soldiers. 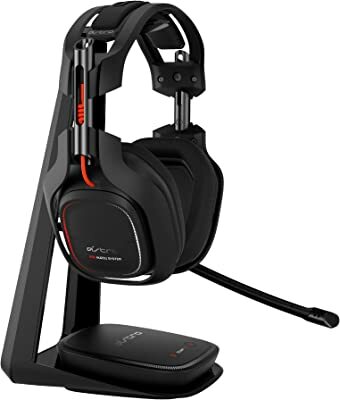 Even more importantly, the Dolby Digital 7.1 surround sound capability of the headset uses the size of the headset to full extent, rendering the 3-dimensional audio environment beautifully to give gamers a competitive edge. Users wearing the headset can pinpoint the location of every gunshot and explosion from sound. 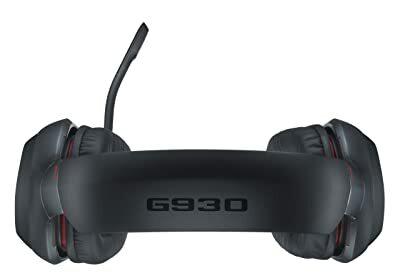 The Logitech G930 Gaming Headsetis an incredible feat of audio and gaming engineering, and is definitely one of the most cost-efficient and best gaming headset for users that value comfort, audio quality, and wireless capability. Logitech G930 Wireless Gaming Headset also had impressive microphone performance on top of its incredible audio capabilities to make it well-rounded as one of the best gaming headsets. The microphone can be folded back behind the cup of the headset when not in use. Furthermore, there is noise-cancelling functionality, and the action of folding the microphone away automatically mutes it. In addition, users can establish gamer profiles and access them from the headset, and create voice morphs of their audio output in order to disguise their voice when communicating online. Audio speakers are considered whilst the greatest output product that produces you feel that you are listening to live music and forget that your music is originating from PC. The quality of gaming headphones is really large that you will basically feel that are you currently part of that digital world. the engineering that is 3D surround sound as well as the special-effects can make you beat and feel that sound is via diverse recommendations with high-standard of sound frequency. One of many most desirable attribute while in the headphones will be the capability to end any additional unwelcome noise coming from the. This is attained exclusive selection inside the microphone as well by the head covers’ perfect layout. Sound cancelling is requested both speakers along with the microphone, so that a player can have the uninterrupted and distinct connection with the recreation together with the people in multi player atmosphere. Earphones comes as sent as well as wireless, out of these Bluetooth based cordless headphones are the greatest scalp unit to get since it is much more comfortable to use. Wireless or Bluetooth headphones are ideal when you need an appropriate unit that helps you work from the range out of your screen, to make use of. In a excellent circumstance, you will be applying headphones together with keyboard and wireless mouse to play your game from the length of 10-15 feets before a big TELEVISION. This really is incorrect for several recreation people, professional players choose to not be open to the screen and play with an increase of focus and this is why they use the gambling quality born headphones. Headphones are available in two models, one could be the system that is included with the microphone along with both audio, and the one that is minute is simply the speakers in a headgear. When you really need a gaming headset objective then the ideal could be the headset with microphone that you could remain with team-mates in effect and have a mean to communicate faster. One another hand for hearing the audio from a digital player such as MP3 unit a headphone which can be used, then your most suitable choice is the headphone without microphone as well as the one with traditional speakers has excellent productivity. Purchasing the most beneficial headset collection is one-of the best amazing times of existence. There are a several types of headphones to the shop today. All these headphones contains sound-quality and its feature. 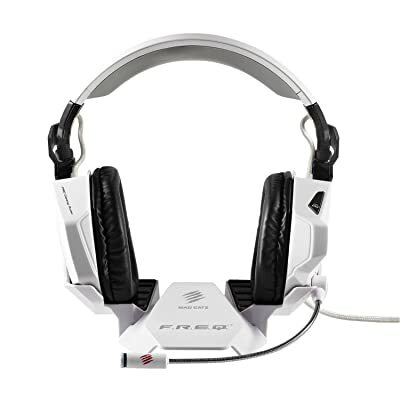 The top headset offer a premium quality audio, quality cords and superior soundstage. Before you hear using the headset that is best you’ll never imagine your ears. I just recently evaluated various types of headphones, by looking over this report, thus learn more. With firms for example Koss, JVC, AKG as well as more, you understand that you will be planning to get the supreme quality out-there when you are wanting to get a pair of noise-reducing headphones. Nonetheless, there are goods and lots of makes on the market, in all different price (some with all different functions ranges too. Can be a person to know with them excellent, which will headphones can go well? First, you must check it out at different retailer. This method does provide the evident characteristic to be able to have a closer go through the product, albeit usually just in a container, and communicate with a sales person, who may or may not recognize anything at all about that are the most effective headphones anyway. Then, if you should be nevertheless not delighted, read critiques from online reviews website. Having the ability to listen to from consumers who’ve actually used on and sensed the headphones, together with paid attention to and become confident with different packages of several of the most appropriate headphones to the industry is a swift means of getting a great knowledge where headset may best match you. Opinions will have the ability to inform you which set had the very best noise-cancelling result, no matter the fee. You had the life involving the kind that is instant or will discover which match was the best relaxed. You will not be unable to surf about charges observe which suits your budget. No real matter what your want, critiques that are online are sure in obtaining the most appropriate headphones for you personally right now that will help you.